The most essential decision a pet-parent has to make is that of selecting a vet. It’s the veterinarian who will understand your pet in the event they should get sick and also your vet who will care enough to stay in the for front of advancements in preventative veterinarian medicine. Be gentle and kind when dealing with your cat or dog. He must not leave diagnosis as well as examinations to assistants. He or she would be wise to stay in front of advancements within medicine and update his skills along with continuous understanding. The vet should be in a position to stand by you through thick and thin along with proper timely guidance. The clinic should be spik and span and have room for an overnight stay with thoroughly clean kennels, space to run, and staff who love pets. It would be beneficial that the clinic be located near your home and it provides health care plans for your family pet. Ask the clinic if they have emergency contact numbers so that you can call in the event that an unforeseen problem happens in the middle of the night or on a holiday. Verify that the clinic provides specialists consulting with them like orthopedic doctors and eye specialists. As a concerned pet parent you must make a list of questions you need answers to and spend some time finding out whether or not you would be more confident with an allopathic vet represented by the American Veterinary Medical Association, AVMA or possibly a holistic vet represented by the American Holistic Veterinary Medical Association, AHVMA. While allopathic veterinarians practice conventional medicine, a holistic veterinarian may make use of medicinal herbs, nutritional changes or even supplements, vitamins, along with enzymes, chiropractic manipulations, homeopathy, Bach flower remedies, as well as massages for treatment. And, in the event that is what’s needed, they’ll prescribe allopathic medicines. They try and also treat the cause not merely the symptoms of virtually any ailment. It is essential for you to pick an animal medical practitioner who’ll work alongside you in looking after the pet. He or she must be patient, love your pet, and make time to explain things to you as well as listen to your opinion of things. In the end, simply no one can know your pet better than you. 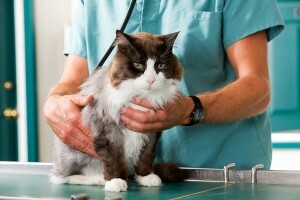 A vet must care for the pet for around 10-15 years. He or she must be organized in addition to maintain health records with excellent detail from the day the pet is born to the day it passes away. A pet may lead a complete existence only when you, the veterinarian, as well as trainer operate in harmony and also side by side. Therefore, selecting a suitable vet is an important decision that should be done after weighing all the benefits and drawbacks.